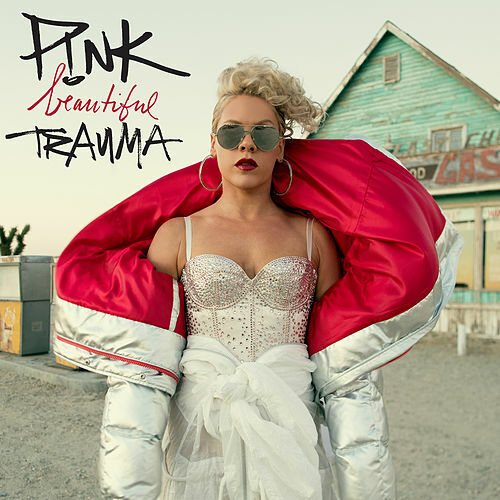 Pink's talent for inciting rock and R&B to make out with each other remains at the forefront here, however, amid bumpy, hypermodern production (read: Funhouse works as well on headphones as it does blared in a sweaty room) the outspoken alpha female sheds her tough chick persona -- sorta. Addressing her divorce from Motocross stud Carey Hart and nearly apologizing for partying a lot (rather than focusing on her abilities to get said party started), Pink pushes herself to a new level of personal revelation. The title cut says it all: "This used to be a funhouse/ But now it's full of evil clowns."